BUXTON — Thomas Lee Harley, age 66, of Buxton, NC passed away at his home on December 21, 2018. Tom was a proud Michigan State University (MSU) graduate of the School of Landscape Architecture. Lifelong member of the Alumni Association and Spartan fanatic, he never missed a Spartan football or basketball game. The running joke was that he “bled Green and White”. 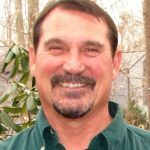 He worked as a landscape designer for 36 years throughout Northern Virginia before retiring in 2016. He took great pride in transforming client’s yards into beautiful extensions of their homes. His work was a reflection of his innate ability to see beauty when most couldn’t. He was an amazing artist, a musician who loved to play the piano and an avid fisherman. His love of the sea and surf fishing led him to retire in Buxton, NC. He quickly became involved in the community as a member of the Cape Hatteras Anglers Club (CHAC), a judge of the annual fishing tournament and was recently voted to the CHAC Board. He was best known for volunteering to be a Bingo caller; the funds from which benefited local high school students with educational scholarships. But most important to Tom was his loving family, his wonderful friends that he considered family and his clients who became dear friends. He is survived by his wife of 47 years, Mary C Harley; his daughters Amy Harley of Atlanta, GA. and Crystal (Matthew) Cobb of Severna Park, MD; granddaughters Ashley Evans of Ft. Lauderdale, FL, Brooke Evans of Cooper City, Fl and Brittney (Scott) Harrison of Tamarac, FL; grandsons Cody Thomas Harley Winokur of West Point, NY, Luke and Cade Cobb of Severna Park, MD and two great grandchildren, Allie and Scotty J Harrison of Tamarac, FL. He is also survived by his sister Jan (Tom) Theis of Grand Ledge, Michigan, his beloved Dad, Charles D Gill of Lansing, MI, sisters-in-law Eadie Harley of Holt, MI and Leslie Gill of Bossier City, LA; his mother-in-law Angie Grindatti of Kalamazoo, MI, brother-in-law William (Kris) Grindatti of Oakland, CA. and his sister-in-law Lori Kinnamon, brothers-in-law Rick (Paula) Prosser, Greg (Nancy) Prosser, Joe Charlebois and many cousins, nieces and nephews whom he loved dearly. He was preceded in death by his parents Patty J Gill and Donald E Harley Sr. and his brothers Donald E Harley Jr., Paul T Gill, sisters-in-law Margo Charlebois, Lisa Waros and brothers-in-law Dan Kinnamon, Marvin Wilson and Shawn Grindatti. A Celebration of Life will be held on January 17, 2019, at 2:00 p.m. at the Unitarian Universalist Church, 2709 Hunter Mill Rd., Oakton, VA. A service will be held in Michigan with visitation on February 15, 2019, at St Michael’s Parish, 345 Edwards St, Grand Ledge, MI 48837 from 6-8 pm followed by a funeral Mass at 11:00 am on February 16, 2019, at St. Michaels. A Celebration of Life will be held on Hatteras Island in the Spring. In lieu of flowers please consider donations in Tom’s name to the Hatteras Island Rescue Squad, PO Box 639, Buxton, NC or the Cape Hatteras Anglers Club Scholarship Fund, PO Box 145 Buxton, NC.